I was having this conversation a few days ago with a friend (Alice). She was asking me about a problem she was having with a friend. Her problem is that one of the friends she thought she was close with has been pretty much non existent for some time now. Alice is hurt by this and not sure what she has done wrong. This is a hard one for me to answer since I didn’t know the person she was talking about. This friendship was and is meaningful to her. Not knowing her friend, this is difficult to know the answer to. From my understanding they have been friends for many many years and then all the sudden her friend stepped back from the friendship and hasn’t been a part of her life for a long time. After talking to her for some time I got the idea that her friend had a lot of things on her plate going on. And my friend has had many things to. I know my online friend Alice will be reading this and I hope she does, so she can think about what it means and how hard maintaining a friendship can be. From my understanding my friend put a lot on the shoulders of her friend, not knowing she did this though. My friend Jerri would always tell me that some friends are casual friends, others are in it for the long haul and others are there because they need to be needed or we need someone to need us. As I was talking to Alice, Jerri’s comment came to mind and in many ways that is true. Alice was wanting more out of a friendship. She wanted one where she could talk about anything and be accepted for the good and bad. Her friend was unable to meet that criteria for her. I can understand how she would want that though. Jerri and I could spend hours on the phone, in person and so on talking about nothing or talking about everything. But not all friendships are like that. I do need to make it a point to call Jerri though. It has been awhile since we last talked. Alice is having a problem understanding why her friend pulled away is hurt because she thought they could talk about anything and everything. That was until she opened her heart up too much and her friend pulled away. 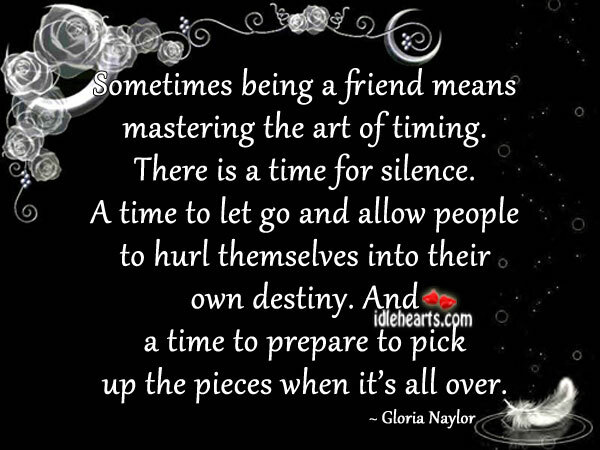 I guess I can understand this because I think we all have or at least I have had friends that have had to step back and regroup. I have had to do that too. It was like that with my friend Donna. And I’m sure some of my stuff is a bit too much for some to handle too. There has been times that too much was going on and I had to pull away for my own sanity. 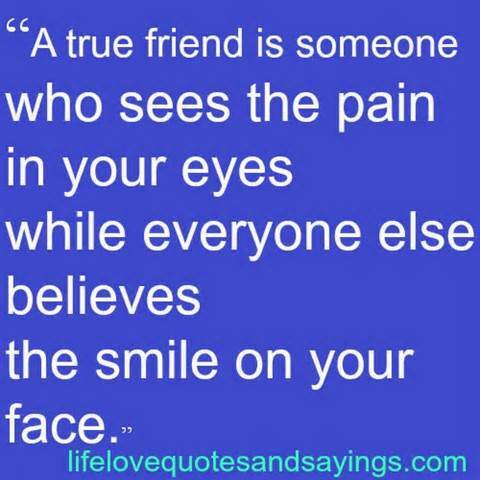 I do think that is OK, but at the same time don’t give up on your friend who has nobody else they can talk to. I do think this is the case with Alice. She received an email from her friend telling her that she has to back away and breath. I have been there, done that. But what upset my friend is that in the email from her friend, she said that if she needs anything to give her a call and she will be there. I guess when I think of a friend and being a good friend, you shouldn’t have to call someone up only when they are needed. Sometimes you just want to hang out or do nothing at all. My friend was telling me that when she got that email, it made her feel like she wasn’t a friend in the same way she wanted or needed to have. I know for myself, it drives me crazy when someone calls me only when they need something and then I resent them for it. If a friend told me to call only if I needed something, then I wouldn’t consider them a friend. I would consider them someone who likes to help others and needs to save the day. If I received an email like that, i would take it how Alice is though. And I don’t think I would call or email if the only reason i was doing that was because I needed something. I have what I would call the puppy dog syndrome at times, or should i say had. I had a hard time saying no and would beat myself up for letting someone take advantage of me. Now, I can say no pretty easily. I still have a need to help and save the day. But that isn’t always the best and it does have a way of ruining friendships or relationships with others. But, back to my friend Alice. I would have to tell her that if she is wanting to have a real friend, then be one. Not everyone in our lives are friends. I would consider that a special bond. But we do have a lot of people that come into our lives for one reason or another and that is OK. And from my own experience, not everyone needs to know your private stuff. I do think that scares people away and they just don’t need to know it. I have learned that somethings are better kept to yourself Alice unless you know that person very well. And even then you can scare them away and they never come around again. For others who have problems with friends or advice for Alice, you are welcome to comment.